There is one answer and that one is dessert. I love desserts. Who doesn’t ? And when that’s made with chocolate. Life is much better, right! I eat granola made with oats for breakfast every now and then. I love it with fresh strawberries from the farmer’s market. The store bought ones are extremely sugar for my liking. Hence I started to create my own version at home with whatever ingredients I find on my walk from pantry to stove top. Since there are no grains allowed on phase 1 of South beach diet, I eat couple of tablespoon of grain-free granola with milk or yogurt as a dessert before I retire to bed. On a hot summer day, (it was 101F couple of days back), it is so comforting to sit with a bowl of ice cold milk, drizzled with speckles of chocolatey granola and read a book or watch a movie. As the icy cold milk washes down my throat, the crunchy walnuts and almonds coated with cocoa and cinnamon leaves a happy note at the end of my tongue. It’s delicious. It’s addictive. It’s SBD friendly too! Good thing about South beach diet book is that it carries close to ten recipes for dessert alone. I tweak a bit here and there and come up with my changes and likings. For instance, the original recipe for nutty granola from the book doesn’t include cocoa powder in the list. I used them because I love its taste and flavor it adds to my granola. Then, I changed the baking temperature as over the months, sometimes 30 minutes at 325F doesn’t really work for me. I have seen a similar recipe at Sylvie’s blog and you can follow her recipe too. Its made with chia seeds and no cinnamon. I made it in a large batch and stored in an airtight container to retain the freshness. They freeze pretty well too. You can freeze them for 2-3 months, you don’t have to thaw them, just throw the ice-cold nutty chunks over your yogurt or milk and eat right away! My husband loves to eat these granola chunks as a snack and on some nights, I relish it with a glass of dessert wine. Coming to wine, I have written a detailed post about wine and south beach diet here. Drinking a glass of wine with cheese is our Friday night ritual. I started to drink red wine because my friends told me that its good for the skin. I can hear you laugh.Trust me, wine is good for you in a way. If you explore on how it is made? It is nothing but fermented grape juice and if you ask me, tasting it on a party or over a meal once a while is totally acceptable. In the South beach diet cookbook, it says that “This tasty topping is meant to be enjoyed in tablespoon size servings on top of non-fat or low fat yogurt or fat free cottage cheese or part-skim ricotta”. So be a good girl/boy and don’t end up finishing the entire bottle. I know, they are really addictive and no one can stop with just 1 or 2 tablespoon. Preheat oven to 200 degrees F. Drain and rinse the nuts and pat dry them using a kitchen towel. Pulse the nuts to a coarse form in food processor. In the meanwhile, melt the butter in a small saucepan over low heat. Mix in the cocoa powder, vanilla essence and cinnamon. Stir to combine. Pour this chocolate mixture over the pulsed nuts and add sunflower seeds and salt. Stir well to combine and let the cocoa powder mix coat the nuts well. Cover the baking tray with parchment paper or foil. Spread chocolate nut mixture evenly over it. Bake at 200 degrees for about 4 hours straight. Remove and cool on a wire rack. I served mine with cold milk. In most vegetarian South Indian homes, lunch is eaten with rice, sambhar (lentil stew with vegetable), rasam (peppery soup made with tomatoes) and one or two vegetable based dishes called poriyals (stir fry) or varuval. Poriyals as it called in my mother tongue is nothing but a dish cooked with basic South Indian spices, onions and little shredded coconuts. For some poriyals, chopped vegetables are steam cooked and a tempering with mustard seeds, white bengal gram, curry leaves, dry red chillies and onions are added and simmered for couple of minutes. It is one of the easiest dish to whip up and is packed with nutrition as they are cooked al-dente. My son loves different types of poriyals as they are bite-sized and he enjoys eating it as they are soft, mildly spiced and colorful. If you plan to introduce Indian dishes to your kids, poriyals / stir fries will be good starting point. They will love the flavors in it. Certain ingredients like mustard seeds, curry leaves, cumin seeds and asafoetida have medical insignificance too. What you feed becomes their medicine too. Many of you know about my journey with South beach diet. South Indian stir fries are the most eligible dish to make it to the top list of South beach friendly meals.I make a whole large batch of these stir fries and eat them with rasam during phase 1. Even a lentil based dish called paruppu usili can be made with finely chopped asparagus,beans or cluster beans and that’s another variation to usual poriyals/stir fries. Yesterday I started a casual conversation in Facebook asking for my reader’s input. Look below for what I asked for. I am curious to know about the kind of recipes you would like to see in Spices and Aroma, my blog. I have got emails requesting for few recipes. I am going to plan and post accordingly. Please share what you want to see. Any specific biryani recipe, healthy foods, kid friendly recipes, lunch box ideas or anything else. Pour in your thoughts.Thank you! Please feel free to give your thoughts in the comment section. I would be really happy to hear about what my readers want to see here. I planned to write a post for South beach diet phase 1 today and it happened to be a poriyal / stir fry recipe. I am so glad that I could cater to her request right away. I am not too sure whether she could call cluster beans a different type of vegetable as some home cooks known to me cook with it often while many don’t. So let this post be a curtain riser for those of you who have not explored your cooking repertoire with this beautiful South Asian vegetable. In India, cluster beans are one of most commonly used vegetable in curries and dhaals. They are green in color and has a narrow, long body with tiny pods inside it. It belongs to the family of beans and has a very similar look except that its outer skin is rough and rigid. You can find them in Indian grocery store both in fresh and frozen section. You chop off little portion of the head and tail of the vegetable and finely chop them in your desired size. When you find fresh ones, pick the ones that are young and tender. Week old beans will be fibrous and woody which are inedible. So try to bring home fresh looking cluster beans only. I wrap them inside a plastic bag and store it in fridge for upto a week. Even brown sandwich bags will be perfect. Sometimes I cook it right away while some days it will be after 4-5 days after purchase. So storing it well is key to avoid spoilage.Today’s post is a simple South Indian side dish made with a vegetable called cluster beans, also know as kothavarangai in Tamil. I finely chopped the beans and pressure cooked it for 3 whistles. You can cook them in boiling water just like the way you cook pasta / noodles but it will take longer to cook the lentil. The vegetable must be cooked completely and should hold their shape. I am sure you don’t want anything turning mushy while you serve. So cook accordingly. I made a simple tempering with mustard seeds, dry red chillies, bengal gram (channa dhaal) and curry leaves. Onions are cooked until crisp and tossed in the beans. Served hot with rice, sambhar or rasam. Fill the base of the pressure cooker with 2 cups water. Place the chopped vegetable and channa dhal in a stainless steel container and place that container inside the pressure cooker base. Check whether the gasket is sealed well inside the lid of the pressure cooker. Cover the base and insert the whistle and let it cook for 3-4 whistles. Switch off the flame and let the pressure comedown. Remove the whistle. Drain the excess water through a colander and set aside. Heat oil. Once hot, add mustard seeds and let it pop. Throw in the dry red chillies, curry leaves and onions and saute for 2-3 minutes. Add turmeric powder and cook for further 2-3 minutes. Mix in the cooked cluster beans and add salt to taste. Let it simmer for another 5 minutes. Boil 2 cups of water in a kettle or in a pot. Throw in the chopped cluster beans and cook 3/4th covered for 20 minutes. It is not advisable to cover the lid completely as the water might boil and roll over the vessel and stove. Cluster beans stir fry is an ideal main dish for South beach phase 1 (Indian Vegetarian meals ideas). They have good amount of proteins and fibre and fills so up so fast. Can be eaten in phase 2 and 3 of South beach diet too. I eat a bowl of this with rasam poured over it after a work out. It’s low calorie and uses very less oil. A perfect food for those who are on a weight loss regime. My friends and family had reached out to me to create a menu plan that is simple to understand and easy to fix. Since I come from Southern part of India, I created this menu with the dishes I grew up eating. 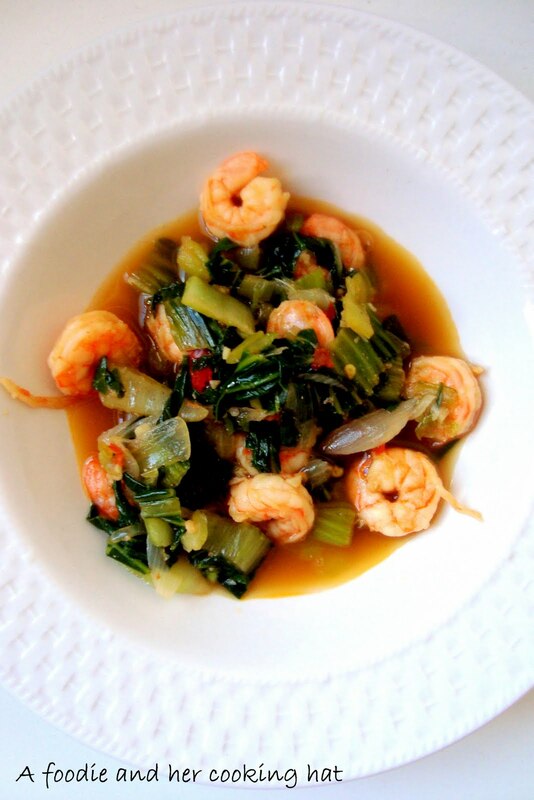 I made little changes to the original recipe to make it South beach diet phase 1 friendly. I have written a detailed post about South beach diet here. Please take a look and do come back. Good luck with phase 1! Just remember – No pasta, rice, potatoes, carrots, beets, peas, corn, fruits, sugar,alcohol and totally NO CARBS for just 2 weeks. Even if you don’t see a drastic change in the weighing scale, you will definitely see a change in inches. You will lose few inches around your waistline. Remember: Supplements are important and drink lots of water. Since our South Indian dishes are made with rice, lentil and beans, coming up with a phase 1 meal plan was simple. I just omitted the dishes made with rice and included our good old poriyals,sambhar, rasam, karis, kootu, sundals, thayir pachadis and thogayals in the menu. Voila! The menu this way is amazingly perfect and fits the rules of Phase 1. You get to eat lots of vegetables which will be rich in nutrients, low in sugars and high in fibers. Isn’t that great? Yes, you can eat your eggs, fish and lean meat too. It is easy to follow but you need to plan, shop and cook ahead to stick to the plan for 14 days. South beach diet is not any diet program, it is a lifestyle change. Please keep that in mind. You have to get back carbohydrates after 2 weeks. But remember to include complex carbohydrates like brown rice, quinoa, finger millet, buck wheat, barley when you start phase 2 and phase 3. You can eat rice for sure but just juggle between these whole grains and rice on a weekly basis. Your body needs vitamin B and iron for balanced functioning and that comes from rice but a diet based on white rice (polished) is not good either. This is because white rice is deprived of Vitamin B1 and that deficiency can cause neurological disease called beriberi (caused by thiamine, Vitamin B1 deficiency) – remember hearing this in your grade 8 biology class?. Hence we should include brown rice and other complex carbs in our diet. Read about the importance of brown rice in my post here and also check out recipes of Indian dishes made with brown rice here.They are tasty and nobody can find the presence of brown rice in it. I recommend having multivitamins and Vitamin D supplements everyday. Consult with your family doctor about which brand to buy. 22. 1 large packet soy nuts or uppu kadalai. Lunch: Beans poriyal, 1cup dhaal, cabbage masala, seared fish with chilli powder(use less oil, 1 teaspoon extra virgin olive oil) and 1/4 cup non-fat yogurt. Eat vegetables as much as you want, till full. Afternoon snack: 10-15 roasted almonds, stop with that. If still hungry, you can eat sundal that’ s planned for the dinner. Late evening snack: Tea with nonfat milk and sugar substitute. I take green tea. Morning snacks: 1/4 cup roasted soy nuts or 1/2 cup dhaal from previous day. Lunch: Kovakai masala, chicken curry with spinach or mint/cilanto, podalanga kootu and 1/4 cup non-fat yogurt. Eat vegetables as much as you want, till full. Afternoon snack : Oven roasted zucchini chips,bake at 350F for 10-12 minutes or until crispy. If still hungry, you can eat sundal that’ s planned for the dinner. Late evening snack: Tea with nonfat milk and sugar substitute. I take green/ red clover tea. Morning snacks: 1/4 cup roasted soy nuts or uppu kadalai. Lunch: Lean cut of lamb if available, pressure cook into a curry with eggplants, serve with cabbage poriyal and yogurt. Late evening snack: Tea with nonfat milk and sugar substitute. I take green/ any flavoured tea made with just water and no sugar. Dinner: Channa/pinto beans masala with chopped onions and cucumbers, left over cabbage poriyal,1 tablespoon mint thogayal to go with 1/4 cup yogurt. Breakfast: 2 eggs with onions, green chilles, curry leaves, salt, pepper and turmeric. Morning snacks: 8oz fresh tomato juice with salt and pepper and munch little 1 tablespoon roasted soy nuts or uppu kadalai for a change in taste. Lunch: Eeral varuval (Shrimp masala) with less oil (about 1 tablespoon only), sorakai kootu (bottlegourd kootu) (1/4-1/2 cup), capsicum/bell peppers curry and 1/4 cup yogurt. Late evening snack: Tea with nonfat milk and sugar substitute. I take green/ any flavored tea made with just water and no sugar. Lunch: Lady’s finger curry, kothavanranga poriyal, rasam, dhaal with capsicum and 1/4 cup yogurt. Breakfast: Urundai kozhambhu with lentil balls. In a bowl serve yoruself with 3-4 medium sized urundai and ladle out the sauce and eat it as a soup. Add dollops more yogurt if needed. PS: I have suggested food for 12 days only but there will be left overs and repeats, so let’s drag the same menu for 14 days. Choosing a healthy breakfast by itself is definitely not a simple task and choosing a vegetarian breakfast for Phase 1 of South beach diet is even more a tougher task. I can hear people saying “Eat cereals!”. Well, there is no carbs in the phase 1 of SBD. So cereals are ruled out. Even choosing a healthy cereal with whole grain, fiber and zero sugar is equally tough. Breakfast to me should have good amount of protein, fiber and good carbs. That should be something that will give me the energy to work effectively during the morning and importantly something that will keep me full and happy. The typical Indian menu like pongal (rice-lentil risotto), dosa (savory rice pancakes/crepes) or idly (steamed cakes) or upma (Top chef master’s winning dish) is packed with bad carbohydrates. Infact if we make the same dishes with brown rice or quinoa, they become the ideal dish for the phase 2 and 3 dieters of South Beach diet. Any dish with eggs are perfect for breakfast during phase 1. Offlate my mom follows SBD once a while, so I had to come up with vegetarian options. We have been making patties with lentils or steamed lentil balls or boiled legumes tempered with South Indian spices for her. One protein rich dish that fits the requirement of South beach diet (phase 1) is our good old sundals. The most famous dish from the world famous Marina beach is mangai thengai sundal (legumes cooked with mangoes and coconut). For a true blue Chennaite like me, the thoughts about Marina and the food scene revolving around it would bring back wonderful childhood memories. You can read more about my love for Marina here. There was a debate in the SBD forum on whether raw mango be considered in phase 1 of South beach diet. To me, raw mango is a vegetable and I felt that I could eat it in phase 1. I have eaten our marina sundal during phase 1 and there was a good amount of weight lost during this phase. But experts from SBD said that the green raw mango is a fruit and shouldn’t be included in phase 1. So its upto you to make the decision. For phase 1 dieters, avoid carrots and mangoes and proceed with the same recipe. Since it had been a busy week for me, let me run to the post right away. 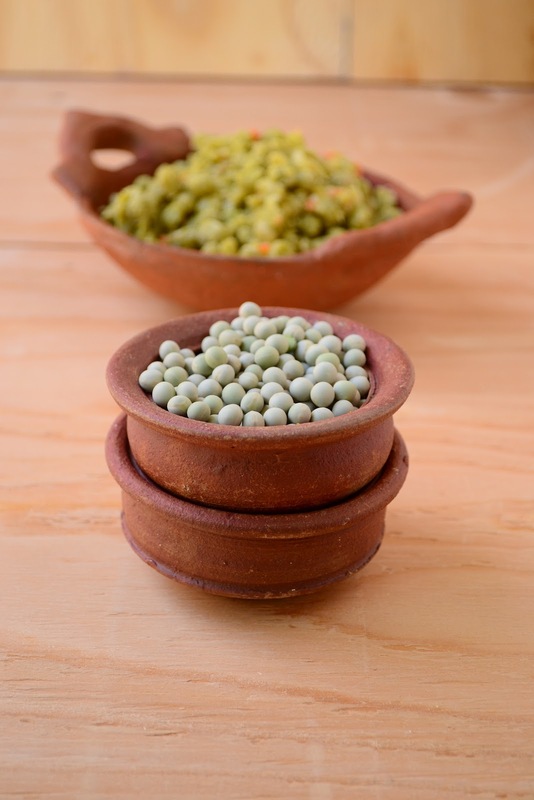 For this sundal, the green peas (dried version) are cooked to perfection and exotic South Indian spices are tempered in oil and mixed to form a uniform coating. Finally generous amount of tangy green mangoes and creamy coconut are added to make it taste out of the world. They have close to zero fat per serving. You can cucumbers, carrots to make it even more fibrous. Our simple snack with legumes like dried uncooked green peas is protein packed and has good carbs so the sugars will break down slowly in to the blood stream and this will keep you full for longer. I make them over the weekend and stays good for two days. If you plan to use it for than 2 days or want to freeze them, then its a good idea to add coconut fresh when serving. Coconut is highly perishable and it will spoil the dish very quickly if not stored carefully. Soak dry green peas in water for 8 hours. Later, cook them in pressure cooker adding 2 cups of water and little salt. Cook for 1 whistle. If cooking in a pan, cook them covered with 3 cups water for 30-45 minutes. Don’t overcook it. It should stay whole and less mushy. Heat oil in a pan. Once the oil ripples add mustard seeds, asafoetida, black gram dal, red chillies, curry leaves and saute for 2 minutes. Then add coconut and finally cooked green peas and little salt. Toss to combine. Switch off the flame and mix in the mangoes and carrots. Serve hot with masala chai. Soak green peas for minimum 6 to 8 hours and add only required water while boiling and keep in pressure cooker only for 1 whistle minutes, not more than that because peas will get over cooked and become mushy. An ideal snack or breakfast dish for phase 2 and 3 of South beach diet. Also perfect for those who are looking for healthy eating options. This dish can be eaten by pregnant women with gestational diabetes. I have been asked by a lot of my readers about the menu plan I am following for phase 1 of South beach diet. Few of my cousins have also reached out to me asking what to eat and cook to lose weight. Just to make my work easier, I am writing a common post where everyone interested in SBD can read and follow it. I got the eating plan from the sample menu given in the South beach diet book and I made changes accordingly to my taste, availability of ingredients and my ethnic foods. Breakfast : 8oz Fat free milk, quiche – 1 slice, fresh tomato juice with salt and pepper. Dinner: Homestyle dhal – 1cup or more (you can drink them as soup – till full) and leftover beans stir fry. Breakfast: 8oz Fat free milk, quiche – 1 slice, fresh tomato juice with salt and pepper. Lunch: Chicken pepper fry (chicken milagu varuval) and channa salad or any sundal of your choice. Lunch: Spinach chicken and lettuce salad or any sundal of your choice. This was my basic meal plan I followed for more than 14 days. Some days there would be leftovers and you can have the same set of dishes for couple of days. Also some dishes like dhaal, stir fry and meat dishes can be cooked for the whole family and for non-dieters (like my husband), I serve rice or chapatti with them. That way, we are not stuck with cooking something totally different for us and for other members of the family. This saves a lot of time and gas and also we will stick through the diet. The first few days of diet is tough because you body is getting used to new set of foods. It is important to plan,cook and freeze over the weekend and start your diet from Monday. Whenever hungry, I would munch on cucumbers or soy nuts or mozzarella sticks. Do some workout – walking, running, swimming, yoga or yoga. Something to keep you active. I do swimming and Power 90 Tony Horton workout for 6 days a week. Remember to take a multivitamin and Vitamin D and calcium supplements everyday. This will help in better recovery. Will all these ingredients you can play around in Phase 1 and can extend it for couple of more weeks like me. One thing in my mind was to use all the ingredients before they perish. Hence I keep changing the menu chart accordingly to that but will stick to the rules of phase 1. Good luck with your weight loss journey! Pop me an email with any queries. I will be more than happy to share my knowledge. For those who are following South beach diet, it is important to know what goes inside your mouth, whether its a glass of cocktail or a plate of fries. And when on a healthy eating plan certain drinks can be diet busters and can act in reverse – weight gain. The lost weight can come back because of your sugary sodas, fruit juices, beer, vodka or whiskey or wine. No alcoholic drinks are allowed in phase 1. But once you have moved to phase 2, you can enjoy alcohol in moderation, about 1 drink a day. Excessive consumption can add empty calories and also lower your determination to get through your weight-loss regime successfully. And when started with South beach diet, I keep jumping between phase 1 and phase 2 often. When in phase-2 I would enjoy a glass of wine or champagne some day. 1. Opt for red over white wine. Red wine is a better choice because the skin of the red grapes has higher powerful antioxidant resveratrol and they are good for you. Just restrict yourself to a glass, about 4oz. 2. Opt for extra-brut champagne as they have no or very little residual sugar. Brut and extra-dry varieties of champagne can be your second choice as they have only slightly more residual sugar than extra-brut. We all know how good is red wine for your heart, ofcourse only if you restrict to a glass one day. Recent research found in British Journal of Nutrition concluded that even a regular moderate consumption of champagne may improve blood flow and vascular performance. But further research and testing are needed to confirm the facts. I came across this informative picture on champagne which I think will be useful for alcohol novice like me. When I started with South Beach diet, the responses from my readers and loved ones are overwhelming. Thanks a bunch to all my well wishers and readers and also thanks a lot for writing in to me. Most of my family members shared a weird expression when I said that I am on a diet. All that comes to their mind is “Oh my god she is starving to lose weight”. For them, starving oneself to death is equivalent to dieting. So here I am explaining what’s the PHASE 1 of South Beach diet all about. Phase 1 is the shortest phase which lasts for just 2 weeks. This phase helps to eliminate the cravings for sugar and refined starches (Bad carbohydrates) in our body. The diet stabilizes the blood sugar level and this is perfect for those who are diabetic and ofcourse for those of us who are looking to lose weight. I stuck with phase-1 for 14 days following the menu suggested in the book. Since I traveled for the next 2 weeks, I could barely do any justice to my diet but managed not to gain any extra pounds when I got back. Then I went to phase 1 again. I have been jumping between phase 1 and 2 and still the results have been so encouraging. Every morning I get so excited to weigh myself and would jump up to the ceiling to know that I have lost some weight, even it is just 0.2 pounds. 🙂 It is better to weight oneself every other week but somehow, I get tempted to hop on to the weighing scale as the first thing in the morning. The meals given in this stage are super delicious (Trust me when I say that), yes they are so yummy, nutritious and rich in fibers. You will be including lean protein such as fish, shrimp, crabs, oysters, skinless chicken/turkey breasts, lean cuts of beef, tofu, reduced fat cheeses, eggs, 1% or fat free milk, nuts like almonds, soy, walnuts, pecans and seeds like flax, pumpkin or sunflower seeds , avocados, high fiber veggies like celery, greens, cabbage family, beans and lentils. I use extra virgin olive oil or canola oil for cooking. You can have 3 hearty meals and 3 snacks. Few of my favorite dishes are Boy-choy shrimp, Pesto chicken, Pecan crusted trout or tilapia and Chok full of veggie chilli and few favorite healthy snacks are part-skim mozzarella sticks, roasted nuts (ofcourse you have numbers to stick to and cannot keep munching in cups), celery/cucumber with hummus or any roll ups. There also desserts to enjoy. But my personal choice is to avoid that as much as you can. The deserts are made with artificial sweeteners, which according to me is unnecessary to a normal body unless you are diabetic or have a medical condition that demands its use. Instead, I drink 8oz warm milk before I hit the bed. Sometimes if my cravings are high, I make nutty granola with 2 teaspoon Splenda. According to me the most important thing to remember in South beach diet is the list of foods to avoid. In phase 1, you are denied from eating rice, pasta, grains like oats, barley, sugar, peas, carrot, corns, potatoes, beets and fruits. And no alcohol!!! This is just for 2 weeks. So it shouldn’t be a problem and we can stick through this easily. If you want to join me in this battle, shoot me an email. Let’s do it together. Chicken kale soup is yet another Phase 1 dish. They are made with skinless chicken breast and kale. A very simple, nourishing and hearty soup. You can refrigerate them for couple of days too. Heat oil in a large cooking pan.Once they are hot, add garlic. Saute for 30 seconds. Sprinkle the chili flakes and cook for 20 seconds. Add the onions and cook for 3-4 minutes. Add the chicken breasts and kale and saute till they wilt, approximately 3-5 minutes. Pour in the chicken broth and sprinkle the thyme . Mix and cook covered for 30 minutes. Sprinkle salt and pepper to taste and serve hot. 1. Sometimes when I don’t have chicken stock, I add water instead. 2. You can add any herb of your choice. 3. You could also add chick pea for a variation. For my husband, who is not in any diet, I would add cooked brown or white rice to the soup. 4. This fits the phase 1 criteria and can also be enjoyed in phase 2 and 3 with a warm whole wheat baguette. 5. You can replace kale with swiss chard, spinach or any greens. Will write about Phase 2 on my next post. Summer is in and days are long and hot. Wouldn’t it be great to cuddle ourselves with a glass of refreshing drink? Non-alcoholic mocktail kit giveaway coming soon. One lucky reader will win a Tres Agaves T-Shirt, branded lime squeezer, Tres Agaves Cocktail-Ready Agave Nectar. Stay tuned!!! Growing up, my favorite vegetable was cauliflower. Ofcourse next to carrots. My mom would make a crispy curry with it and served it with steamy white rice and rasam. She wasn’t too experimental with recipes and this recipe will be made in the way all the time but everytime it will taste divine. Maximum she did was to replace garam masala with whole spices. That’s it. That was how much she believed in tweaking a recipe her mom taught. But I am not her and for the personality I am, I have to introduce new flavors to create a spin to this beautiful flower. I can mash them to make chilled shots with lentils or puree them creamy to serve as bisque or even serve it as a crushed salad with mint and pomegranate. There are not infinite way to play and plate them. I have been experimenting a lot more plating style off late. You will know what I mean from my instagram feeds. I threw a Navratri giveaway for my Facebook readers for the festival season and the winners were announced on the day of Vijayadasami / Dussera. They will be receiving a gift bag with lots of kitchen goodies in it. Today I am sharing the recipe for an easy version with cauliflower and soy chunks. I have used good old green chillies for the heat and sautéed them with ginger, garlic and onions. For a tart touch, I used mashed tomatoes and cooked them all together to form a delicious curry. Since it has protein as well, I eat them as a meal in a big bowl. This can be eaten during phase 1 of South Beach diet and for women with gestational diabetes, this can be eaten with brown rice or roti. I pack it with rice and ghee for my son. Heat oil and once hot, throw in the green chillies, garlic and ginger. Saute for a minute. Add onions and let it brown a bit, about 10 minutes on medium flame. Sprinkle turmeric powder and tomatoes and let it combine well. In the mean time, squeeze the water out of the soy chunks. Add the cauliflower stems, soy chunks and sprinkle 2 tablespoon or so water, cook covered for 15 minutes. Increase the heat for the last 5 minutes to crisp up the cauliflower. Add salt to taste and sprinkle cilantro. Serve hot with rice or roti/chapatti.